We found some really great games for the dreamcast: Bomberman Online and Samba de Amigo. Both of these games are NTSC games, and Samba De Amigo is in Japanese! Those games won’t play on PAL dreamcasts, so I applied the Region Free Mod on all four Dreamcasts (more controllers welcome!). The mod has been documented in by Daryl Kerr. With great detail he explains how to apply a simple wire between two components on the motherboard. Adding this wire requires some careful soldering, yet isn’t extremely hard. 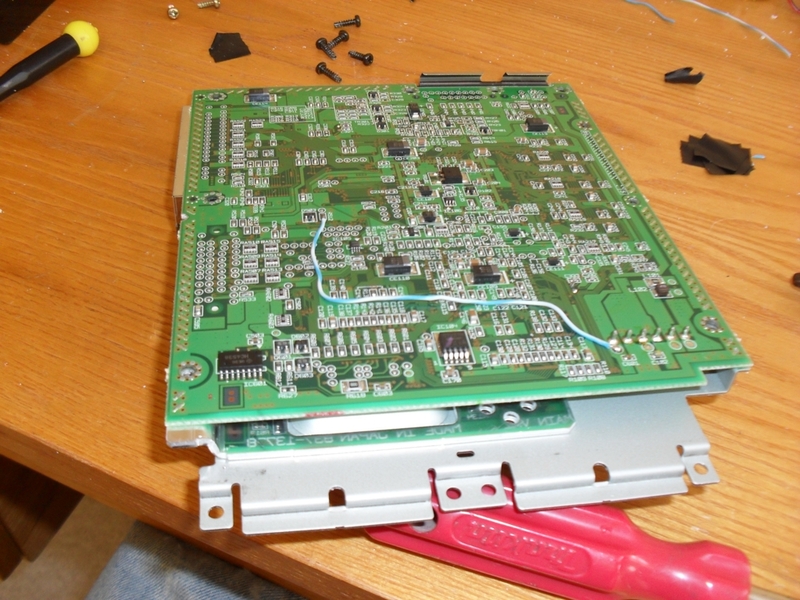 After applying the wire the region settings (NTSC/PAL) can be changed with a software CD. This means you can play all dreamcast games ever made worldwide. Handy for all those games that never made it to our part of the world. Just stumbled upon this article and I think I’ll dig out my Dreamcast and see if I can do something with this. I’ve had a bunch of imports gathering dust for ages. I’ll let you know how it turned out, thanks for sharing!